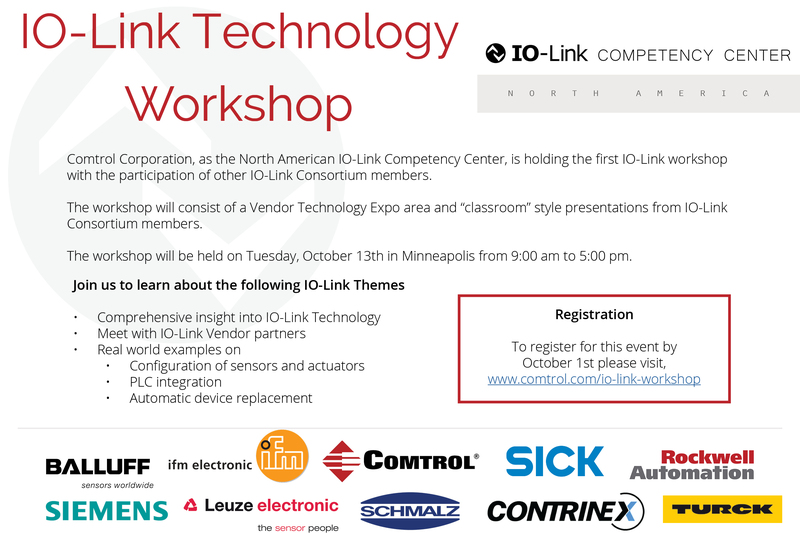 The North American IO-Link Workshop will be held on Tuesday, October 13th in Minneapolis from 9am to 5pm. IO-Link Technology Workshop is held by Comtrol Corporation, the IO-Link Competency Center. This workshop will consist of a Vendor Technology Expo area and “classroom” style presentations from IO-Link Consortium members. -Real world examples on configuration of sensors and actuators, PLC Integration, and Automatic device replacement. If you are interested in attending our workshop or interested in learning more please, click here.